Collaboration can be the gateway to a successful work-life balance. But, unfortunately, it can also create an environment where workers are expected to stay connected at all times, becoming counter-intuitive to promotion of a healthy work-life balance. Technology, while helpful in keeping us productive and collaborative, has created a subconscious mindset where we feel obligated to stay connected, regardless of the time of day. It’s become ingrained in our brains that as soon as our phones or tablets buzz with a notification, we need to know what’s happening. And for a lot of flex workers, if that buzz is a notification that happens to be from work email, we’re tempted to respond, whether it’s from a natural inclination to tackle requests immediately and get them off our plates, or it’s out of a desire to keep in good graces with our superiors. 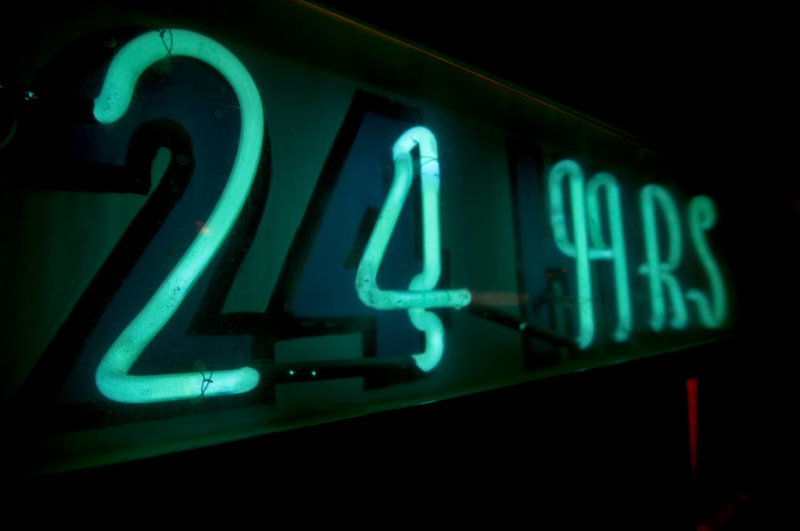 It’s obvious that technology is a major factor in the vicious “connected 24-7” cycle, but there’s more to the puzzle here. The larger and more important piece revolves around the tools, management style, and expectations that are laid out by the leadership in organizations. It’s clear that technology isn’t going anywhere anytime soon, especially for flex workers, so how can businesses overcome an overly aggressive connectivity that can be noxious to company culture and work-life balance? When there’s a need for a cultural shift within a company, the transition has to start with management—and a progression toward better work-life balance for all employees is no different. If you’re a manager of a remote team, and you’re setting the expectations for communications and connectivity so high that your team feels they have to respond in order to progress their careers, you’re setting a bar that isn’t feasible. As a manager, you should make a conscious effort to unplug after-hours. Restricting your own smartphone or laptop’s hold on your life is the first step to progressing toward a better work-life balance. Use restraint and willpower to force yourself to step away from every push notification that lights up on your phone. Yes, urgent matters happen. And yes, certain roles require workers to be on-call and ready at the drop of a hat to put out fires. But for majority of workers, especially those who are working remotely full or part-time, there’s very little that can happen after hours that can’t wait until the next day. Your teams look to you to set the standard in which they should follow. So by setting the communications and connectivity standard to a more reasonable level, you’ll help them and yourself achieve a better work-life balance. Taking the time to actually unplug each day or during your time off is a conscious effort, and it may be something that isn’t easy to do at first. Take baby steps. If you find yourself in a situation where you are expected to be available after hours, set aside dedicated and minimal times to check in with work. By doing so, you’ll minimize the impact your technology has on your personal life, helping you to learn to put down your phone or laptop and enjoy a better work-life balance. Andrea Duke is a communications specialist at PGi, a leading global provider of collaboration software and services for over 20 years. She writes about a variety of topics related to teleworking trends and tools. By flex working a few days each month, Andrea is happy to avoid some of the Atlanta gridlock.